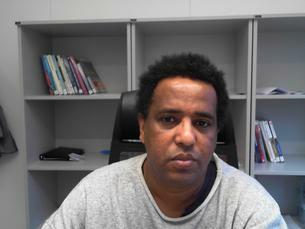 Girum Malachi Zeleke (Ph.D.) is Associate Professor of Social Science at the University of South Eastern Norway (Porsgrunn City). His research interests include poverty, food security, famine, democracy, federalism, and decentralization. Recently, he has been engaged areas such as integration of ethnic minorities, minority rights, and protection of refugees as well as studies related to discrimination and racism in the Western societies. Currently, he teaches social science, human rights and multiculturalism in the Norwegian teacher education academy i.e. the Bachelor Programme in Pre-School Teacher Education and the Programme for Masters in Education. Doctoral thesis: School of Politics and International Studies, Faculty of Education, Social Science and Law, University of Leeds. With the objective to the promotion of people’s self-rule and to enhance the participation of the people in the formulation of development policies and programs, Ethiopia started a decentralization reform when the TPLF/EPRDF came into power in 1991. Decentralization is believed to increase people’s participation in governance, decision-making and the enhancement of socio-economic well-being and the provision of services. Among the objectives of decentralization is improving management efficiency, securing financial and administrative autonomy down to the woreda level. By placing the government closer to the people, policymakers may become more responsive to the needs of the citizens and provide effective services. Thus, it is assumed that decentralization enables the provision of the pro-poor policy, and development planning based on popular participation. However, due to the unbalanced fiscal arrangements between the central and the regional governments, lower government tiers have limited power in deciding their sectoral expenditure plans, in determining their tax base and rates, managing their public finance, human resource administrative systems and setting policies that differ from those of the central government. To understand the derailment of Ethiopia’s decentralization reform, this study examined the implementation of decentralized Famine Early Warning System in a case study of Boreda and Mirab Abaya woredas in Gamo Goffa zone and the planning and resource mobilization capacity of Dale woreda in the Sidama zone. By empirical findings, the research concludes that the decentralization reform fails to implement an efficient Famine Early Warning System and due to lack of capacity, resource mobilization, and political centralism. The finds show that the woreda level government has too little autonomy to plan and make decisions and has limited capacity and source of revenue which could be used for local development activities. Woredas are dependent on the region and zone for recurrent budget and the capital the budget does not flow to the woreda level. Far from achieving the results expected by the conventional decentralization theories, the study reflects that the TPLF/EPRDF formal decentralization reform through ethnic federalism is neither revoked nor actualized as designed but efficiently used by the central political leadership to keep regional governments administrative machinery afloat and sustain upward accountability and traditional centralized rule. Professor Raymond Carey Bush, Professor of African Studies at the School of Politics and International Studies - The University of Leeds.